Until recently there was no definitive record of the birds of Nepal: in 2017 that changed, when ZSL published the National Red List of Nepal's Birds, a full account of the conservation status, trends and threats for all of Nepal's birds. This followed the Red List of Mammals of Nepal, published in 2011. Why are Red Lists needed for Nepal’s birds and mammals? Globally, the ‘IUCN Red List of Threatened Species’ is internationally recognised as the world’s inventory for classifying species’ risk of extinction. However, it can be difficult to integrate information from global Red List assessments into conservation planning and priority-setting at the national level. Therefore, national-level species assessments are vital for conservation managers and policy-makers. Global and national Red Lists place species into one of the following categories: Least Concern, Near Threatened, Vulnerable, Endangered, Critically Endangered, Regionally Extinct, Extinct in the Wild, and Extinct. If there was not enough information to assess the status of a species it is listed as Data Deficient. Species fall into threatened categories (Vulnerable, Endangered, and Critically Endangered) if they meet criteria based on the rates of decline, population size, and extent of distribution as well as information on the impact of threat. How were Nepal’s bird species assessed? The National Red List of Nepal's Birds covers all 875 bird species recorded in Nepal: 8% of the world’s known bird species. Compiling and assessing the status of all these species was a huge achievement for Nepal’s National Red List Programme – an ongoing collaboration between the Government of Nepal and several conservation organisations. The National Red List assessment used the most up-to-date field information for Nepal’s bird species, in accordance with IUCN Regional Red List Categories and Criteria. Bird records dating back to the 17th century were also investigated. The completion of the National Red List of Nepal’s Birds provides a vital planning tool for ZSL, the Government of Nepal, and all stakeholders in conservation, to prioritize and catalyse their actions, ensuring healthy, intact ecosystems. It is helping ZSL to raise awareness about the status of Nepal’s avifauna. It is also integral to Nepal meeting its Convention on Biological Diversity commitments. This work initiated by ZSL is now fully owned by our in-country conservation partners, who are taking the work forward nationally. The information in these six volumes can guide effective conservation of birds and their habitats in Nepal for years to come. Drawing of Cinereous vulture, Aegypius monachus, in Volume 1 birds p. 4 of Brian Houghton Hodgson manuscripts of Nepal and India. The National Red List of Nepal’s Birds is part of the larger National Red Lists of Nepal programme, an ongoing collaborative initiative. 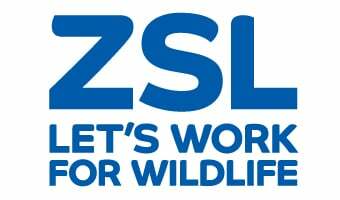 ZSL has been leading this National Red List programme in partnership with the Department of National Parks and Wildlife Conservation since 2009. In 2011, ZSL and our conservation partners launched the Red List of Mammals of Nepal; this also contributes to the global IUCN Red List and has provided an important tool for the Nepalese Government to plan and assess their progress in protecting the country’s biodiversity. Since the publication of this assessment, several papers have been published to report research findings as part of the recommendation, while the finding that at least 23% of mammals were threatened with extinction has led to focussed efforts to prioritize conservation. ZSL National Red List of Nepal's Birds Volume 4 (14.56 MB) – Passerines cont. ZSL National Red List of Nepal's Birds Volume 5 (9.88 MB) – Passerines cont.